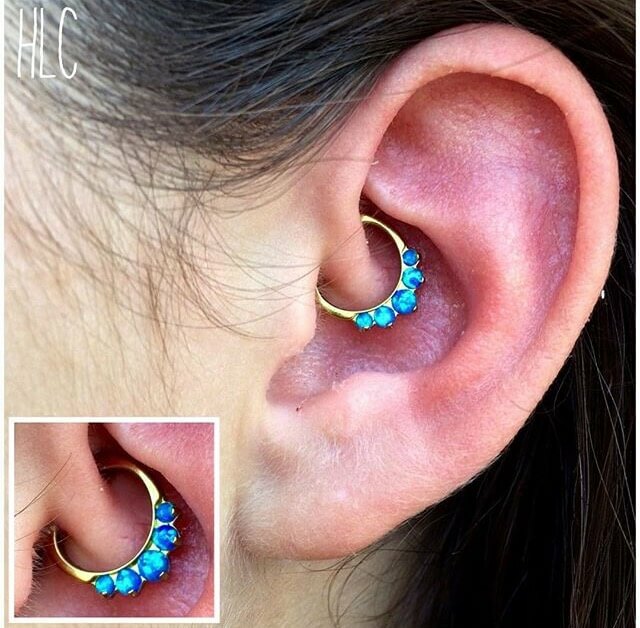 Daith piercings are adorned with small, looped earrings, but you can also get studs. The procedure itself may be painful, but the result is a beautiful piece of jewelry that seems like it’s floating in the center of the ear due to the entrance and exit holes not always being completely visible. 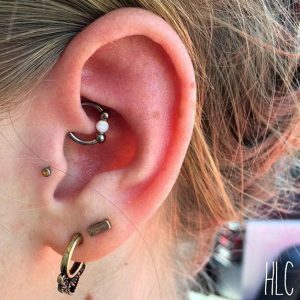 How Much Does a Daith Piercing Hurt? As with any other piercing, many factors affect the level of pain: piercing methods, state of mind, and of course the pain tolerance. 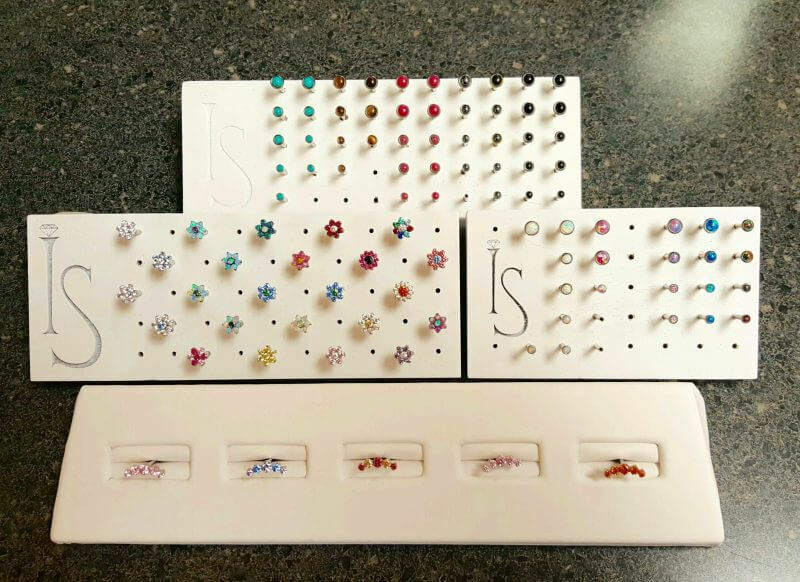 Each person will experience their unique reaction to the piercing. But, it is very likely that getting that little spot pierced will cause you at least some discomfort or pain for a very short time. Since this is a cartilage piercing, the healing process can last for as long as one year, until the inner tissue has completely closed up. Why is it Called the Migraine Piercing? This type of ear piercing is very popular nowadays because some people that have it have coincidentally noticed an improvement with their migraine headaches. Some also mention that it helps to reduce anxiety as well. However, no reliable medical studies back up either claim, and the stories are mostly based on individual experiences, therefore there is no guarantee on our end. If you are considering getting a new ear piercing, come to Mantra Tattoo & Piercing Shop in Denver, Colorado. We have the best piercing jewelry brands and professional piercers in the area! Get your body piercing done at Mantra Tattoo!